In recent decades Flagstaff has seen a magnificent rebirth that has continued to turn it into a beautiful and fun place for locals and visitors to dine, shop, listen to music, and hang out with friends. Underneath this layer lies a rich and interesting history that should continue to be preserved. Great questions to ask about Flagstaff history are why is our downtown located where it is, what are the oldest buildings in downtown, and who were the people that helped build the town? In this article we will explore these questions and a small part of Flagstaff’s interesting and somewhat unsure beginnings. Let get started! Standing today on route 66 in the midst of downtown Flagstaff it is hard to imagine that 150 years ago there was practically nothing here except forest. There was no train noise to drown out the conversation of diners and pedestrians, no roads or cars whizzing by on errands or cross country road trips, and no buildings of wood, brick, sandstone, or volcanic tuff. The last time that the Flagstaff area was occupied year round by human beings was in the 13th century. 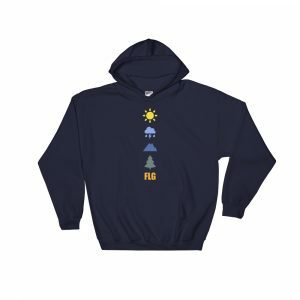 And in the mid 19th century, there were native tribes that frequented the area annually for various purposes and the occasional white explorer, but all said, the land that is now known as Flagstaff, Arizona still fully belonged to mother Earth. So what changed that led humans to once again populate the forested land at the base of the San Francisco Peaks? Well, in some ways the answer is obvious. The westward expansion of the 1800’s was a wildfire in terms of land acquisition and population shifts in the United States. It is said that by 1840 over 7 million people had moved west in search of new opportunity. However, even by 1840 it would still be more than three decades before Flagstaff proper would see it’s very first permanent resident in over 6 centuries. 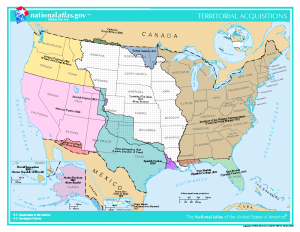 Granted, the northern half of Arizona didn’t even become a part of the US until 1848 due to the Mexican Cession and the lower half until 1854 due to the Gadsden Purchase, but the Mexican’s hadn’t populated the area during their time of ‘ownership’ either. 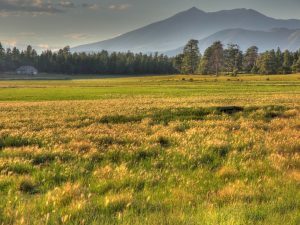 The truth is, the land at the base of the San Francisco Peaks is a somewhat harsh, mostly arid, volcanic landscape with harsh winters, limited farming and mineral mining opportunities, and is surrounded by a large and hot desert. It was truly the Wild West and the settler’s of the day simply saw easier opportunities in the already growing areas areas nearby such as Prescott. So whereas the Western Expansion of the US and the Homestead Act is the obvious answer for the spread in population to the west and southwest as a whole, the less obvious reasons for the ultimate occupation of Flagstaff itself is really twofold. First, we can put in the same category a drought in CA and tall grassy prairies for sheep and second, transportation, the railroad, and lumber can all be lumped together. First let’s discuss the sheep. 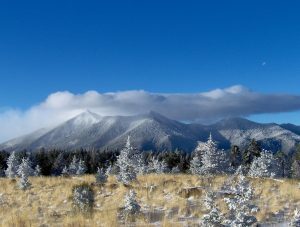 Through the 1850’s and 1860’s many a traveler coming through on expeditions or headed to California commented on the grasslands around the San Francisco Peaks. So when California entered a major drought in the 1870’s many of these same travelers headed back east along their same path searching out land to support their flocks. A man by the name of Thomas McMillan is one such sheep rancher that headed back east from California and settled in what would eventually be Flagstaff. Some resources seem to indicate that McMillan arrived in Flagstaff as early as 1872, but the official opinion is that he arrived in May of 1876 and settle near spring, canyon, and valley that today make up the Frances Short Pond and surrounding area. McMillan was the first of many sheep ranchers to come throughout the 1870’s and beyond, but these settlers lands were spread out and the area still sparsely populated. Next let’s talk about the railroad. Beginning in the 1850’s the United States started surveying the 35th parallel across northern Arizona as a possible trade route with California. First as a wagon road then as a railroad along a route that had been laid out in 1851 by Antoine Leroux leading the Sitgreaves Expedition. 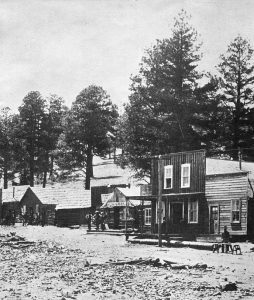 The Beale Wagon Road was completed in 1859 and crossed directly through future day Flagstaff. However, due to politics, war, and general business ups and downs the railroad would not come through the area until 1882. Once the government and railroad officials finally began building the railroad along the 35th parallel a number of tent camps popped up along the route hoping to capitalize on the workers need for inns, bars, and supplies. Flagstaff was one of these pop up tent camps and in 1880 a number of pioneers including P.J. Brannen and his uncle P.B. Brannen came from areas like Prescott to the base of the San Francisco Peaks with the hope that the location they chose would become a permanent and prosperous stop on the line. Though at the time, the railroad did not plan on having a stop in between Winslow to the east and Williams to the west. The tent camp was established near Antelope Spring (now known as Old Town Spring) on the southeastern flank of what is now Mars Hill. Just under a mile west of current day downtown. The Brannen’s were one of the first merchants to set up camp and they opened a general store. First in a tent, then using wood, as was the case with most other establishments at the time. 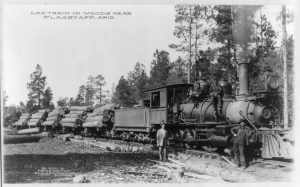 As the railroad began getting closer and closer to Flagstaff camp, it became apparent that the large ponderosa pine forest surrounding the area would be a quite useful local resource for the railroad ties. So in the late summer of 1882, a Chicago businessman by the name of EA Ayers hauled a steam powered lumber mill from Chicago to Flagstaff and set up shop. The lumber yard would help solidify Flagstaff as a permanent stop along the railroad as well as provide a source of income for folks that decided to stay in the area. Another fortuitous event for the permanency of Flagstaff was a delay in the building of the railroad at Canyon Diablo. The bridge that was built to span the canyon was several feet short, and as a result hundreds of railroad workers were essentially stranded in the area for about a half a year. This brought a lot of coin and a lot of attention to the budding town. When the Canyon Diablo bridge finally spanned the chasm the railroad was quickly completed, but the damage had already been done so to speak. When the first train came through on Flagstaff was practically a town, and this was solidified when the railroad decided to make it an official stop on the line. The original townsite was perched on the hillside next to the spring, and was not ideal for a train to stop and start. So the railroad set up their depot using a couple of box cars less than a mile east. Just across the tracks from where the 1889 train depot sits today. So if the town was up on the hill and the railroad depot was down in the flat valley, how did they eventually wind up in the same place? Well, fire is the first answer and opportunity is the second. Just as it is today, fire was a major issue during the years of Flagstaff’s formation. After fires took the wooden buildings in Old Town for at least the second time residents decided to rebuild down by the new depot to take better advantage of the opportunities provided by the railroad. The first building was erected by PJ Brannen, and still stands on the northeast corner of Route 66 (then known as Front Street) and San Francisco. Now, even though the residents rebuilt in this new location they hadn’t quite learned their lesson. Many buildings burned again in major fires in 1886 and 1888 until they finally got wise and mandated that all new structures were built using stone or brick. Thanks to this decision, many of the buildings erected in 1888 and beyond are still standing and many are seeing beautiful restorations completed. 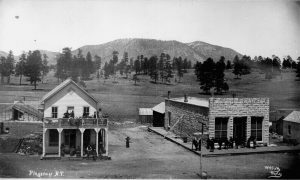 Due to the railroad, the prosperous lumber industry, and the persistence of sheep and cattle ranchers along with the introduction of higher education, and scientific study, Route 66, and recreation and tourism, the temporary tent camp along the rail line became the bustling City of Flagstaff during the first half of the 20th century. Today Flagstaff continues a great many of these traditions in a more modern way. Locals and visitors can watch the train pass through downtown, see the stars at Lowell Observatory, and dine or shop along route 66. We hope this article has been fun and informational for you! Of course the information is just the tip of the Flagstaff history iceberg. If you are interested in learning more check out the description below for a couple highly recommended books. I appreciate you joining me on this journey, and until next time, keep exploring! What to Read Next: How Did Flagstaff Get Its Name?